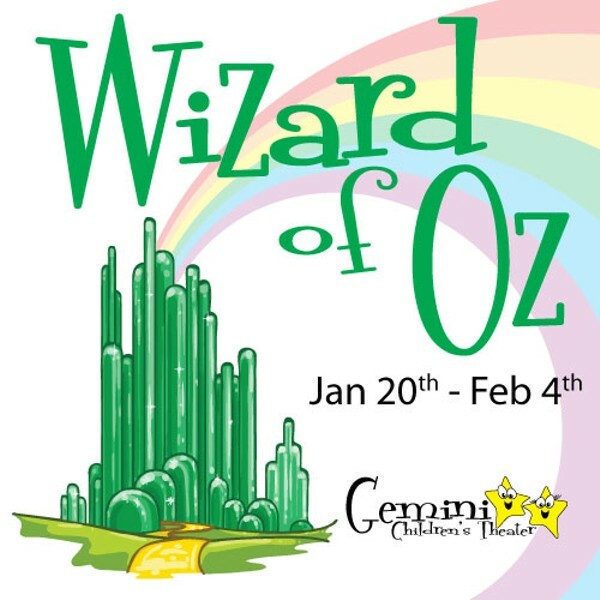 Take a journey down the yellow brick road as the Gemini theater presents "Wizard of Oz." This original adaptation follows Dorothy from L. Frank Baum's "The Wonderful Wizard of Oz" as she tries to find her way back home from the land of Oz. With the Kiss of the Good Witch of the south on her cheek and silver slippers on her feet, Dorothy believes she can make it to the City of Emeralds safely. Though she needs friends along the way who protect her, she may be no match for the Wicked Witch of the West.